In 1924, the legation was in serious need of a new home. It was inadequately housed in premises in a backstreet, Pelota 655, on which the lease was expiring without hope of extension or renewal. Cecil Simpson, an architect with the Office of Works, had visited to assess alternatives and concluded that a site would have to be acquired on which to build. London agreed to buy the site that he identified but the minister, Lord Herbert Hervey, feeling under-consulted by Simpson, objected that the location was wrong, so the process was suspended. Hervey, however, appears to have been active in pursuit of another course because, in 1926, the Peruvian government offered a good corner site on Calle Pablo Bermudez, between Avenida General Arenales and Calle Mariscal Miller, at nominal cost for the construction of a legation. It comprised 2,850 square metres and the land at the time belonged to the School of Agriculture. London had no difficulty in quickly accepting the offer and the site was transferred in 1927. An arranged question in the House of Commons in April 1928 was used to thank the Peruvian government publicly for the site. Sketch planning started in London as soon as it was formally secured. 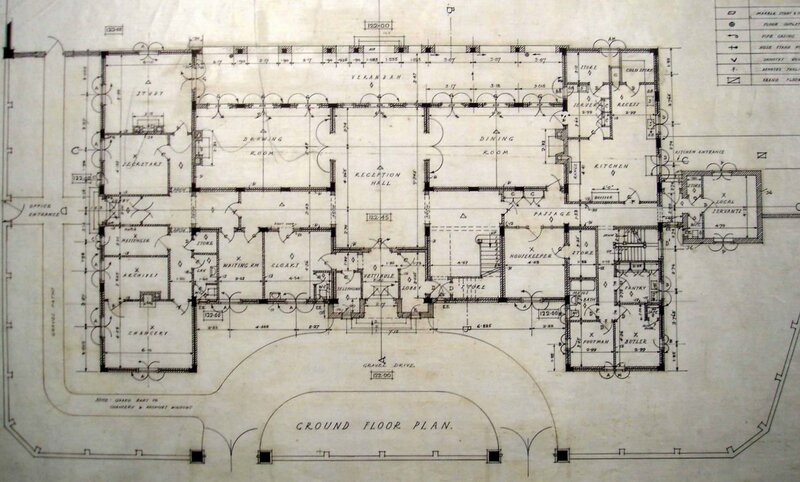 Plans seem to have been agreed, and construction undertaken at a cost of about £30,000, without complications. The new house was occupied in 1932. Two small pieces of land were acquired at the rear to give room for a tennis court and more depth to the garden in 1930 and 1934 respectively. Viscount Davidson, on a tour of South American Posts in 1943, thought well of the house but mutterings had begun by 1950 about the increasingly busy, dirty and noisy roads on three sides. From before 1950, the offices were on the 5th floor of Edificio Republica, on Paseo de la Republica. The 12th and 13th floors of Edificio El Pacifico Washington were bought for them in 1974, and they remained there until 2002, when they moved into the 22nd and 23rd floors of the Torre Park Parque, on Avenida Jose Larco in Miraflores, (which were acquired from the developers during construction and fitted out to embassy requirements). 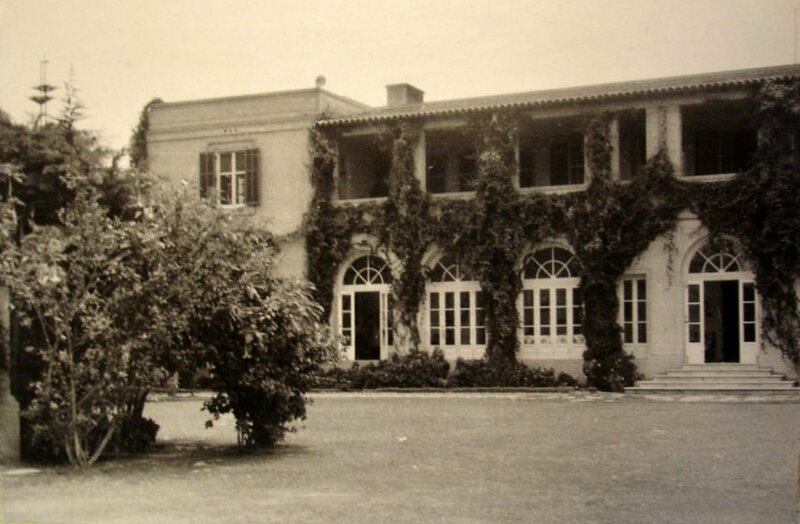 The site for a consulate was granted by the Peruvian authorities in 1831, on which a consular house was later erected. The consul was authorised to sell in 1874 but could not find a buyer. The roof collapsed in 1877 and the archives were moved just up the coast to Mollendo. Islay was closed as a post in the following year, and the consul sold the remains of the building but retained the site. Under Peruvian law, ownership of a property lapsed if unoccupied and unclaimed for forty years and could be claimed by anyone taking effective possession. The Office of Works agreed that the site should be abandoned in 1924, and again in 1954. 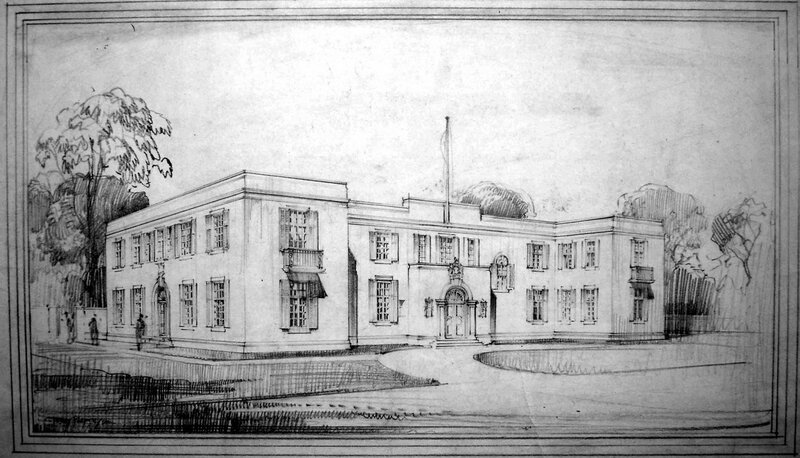 Perspective sketch of entrance front, 1929. The enclosed garden veranda, 1950s. 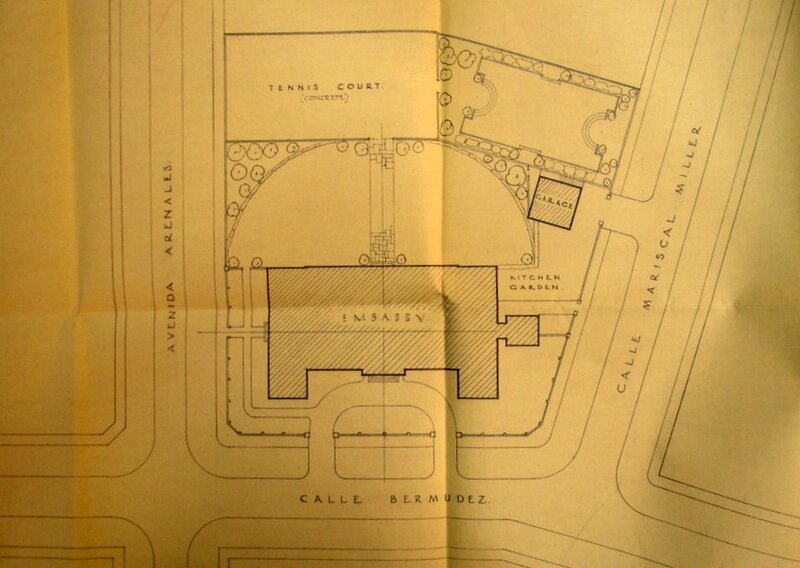 Siteplan of 1937, after addition to garden land.